Please subscribe like and share the video if you enjoyed so the channel can grow thanks for watching! 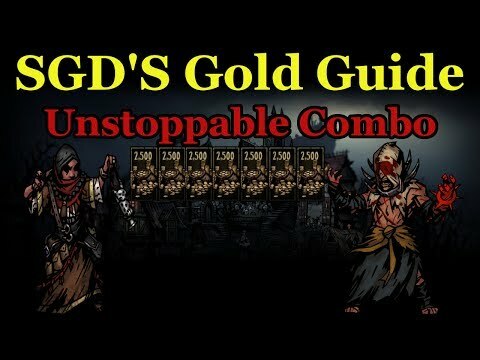 I've done this multiple times its easy money long runs average around 40k to 60k gold just make sure you got decent backline damage dealers, one healer helps as well occultist is my favorite since he can nuke the backline and heal. Just keep the antiquarian in front spamming guard on the flagellant to soak damage so he can use Exsanguinate or Redeem to keep healthy.